Altitude: 2050 – 4200 m. / 6730 – 13780 f.
There are only 500 permits available each day for the Inca Trail (including the guides, porters and cooks that will come with you for the 2 or 4 day trails). Because of these new rules it’s highly recommended to book your Inca trail 60 to 90 days in advance (especially in high season). 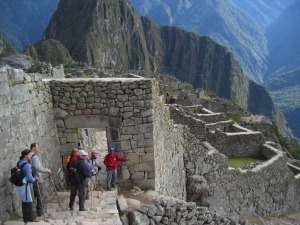 If you wish to book your Inca Trail you will need to pay the trek deposit in advance. Otherwise we will not be able to buy your trek permit. 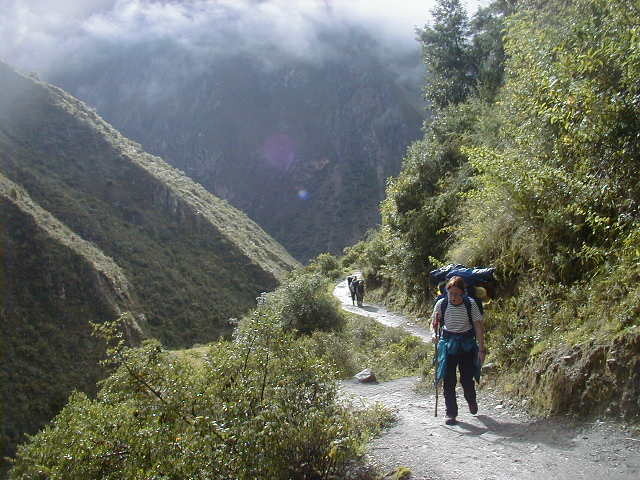 Once we have bought your permit for the Inca Trail it’s not possible to change the date of your departure or your passport number, so make sure these details are correct. At this moment it’s not allowed to climb the Wayna Picchu Mountain for persons that are on the Inca trail. 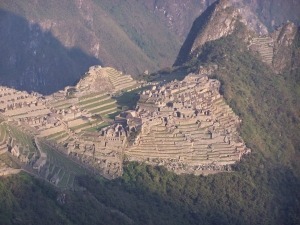 How do you now if there is availability for the incatrail to Machu picchu? Well, it’s very easy, just select the month you want to travel in and you will see how many spaces are still available. The trail is regulated to 500 people per day. Support staff like guides and porters is also included into this allowance, so really only half of the 500 is for tourists. Februari Incatrail is always closed. Please notice that the Lares and Salkantay trail with Machu Picchu included are always possible as permits are not required. At 5.30am you will be picked up from your hotel to be transferred to Ollantaytambo. At 7.30am you will arrive in Ollantaytambo where you can have breakfast. It’s also recommended to buy some coca leaves or a pair of walking sticks (10 soles) if you require. After breakfast the bus will drive you to Piskacucho (2650 m.a.s.l.). Piskacucho is a small community located at the beginning of the Inca trail. From this point you will hike for about 12 km. 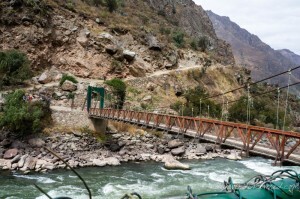 During the hike you will walk along the Urubamba river, have a little break at the Miskay community (2800 m.a.s.l.) 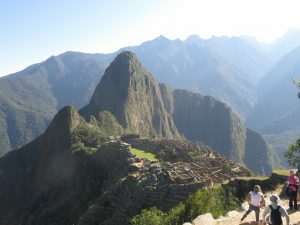 and you will have an amazing view of an Inca building called: Patallacta. 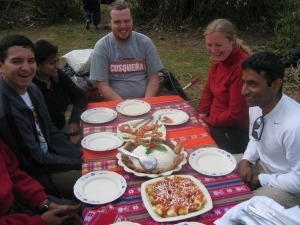 Around lunch time you will reach a nice natural spot where our cook and porters are waiting for you to have lunch. After lunch you will hike up hill for about 2 hours until you reach the campsite where you will stay your first night. During the last 2 hours you will enjoy the Vilcanota ridge and the Veronica snow covered mountain on the opposite side of the Urubamba river (5832 m.a.s.l.). After an early breakfast you will climb up for 9 km along a beautiful narrow ravine. On this section hikers will experience a hard time because of all the steps. We advise you to take it easy and take a rest whenever you feel it is necessary. After a few hours you will reach Lluluchapampa. At this point you will start to climb to the highest and most famous mountain pass: the Abra Warmihuañusca (Dead Woman’s Pass 4200 m.a.s.l.). It will take about 2 hours to get to the top. We recommend you to just take it easy, without pushing yourself too much. Don’t worry if you get delayed; the group will wait for everyone at the top of the pass. Once we reach the pass, we will have a break to enjoy the view and take some photos. After our break we will continue our way downhill to Pacaymayo Valley (3650 m.a.s.l.). During our way to Pacaymayo we will have lunch and we will likely see different kind of birds and the Andean bear (Tremarctus Ornatus). Once we reach Pacaymayo we will have diner. This is also where we will stay overnight. 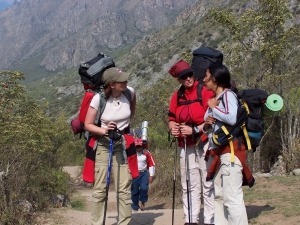 We recommend you to carry some chocolates, candies and coca leaves with you during the hike. This will help to keep your sugar level high. It will also help against altitude sickness. After breakfast we will continue hiking for 15 km. Day 3 is the longest but most impressive and interesting day since you get to see a number of archaeological sites. This day we will start by hiking up a steep path that will lead us to the Runkurakay pass (3970 m.a.s.l.). During our way, you will stop to visit the archaeological ruins of Runkurakay (3800 m.a.s.l.) After we have reached the top, we will walk down to Yanacocha and arrive at Sayacmarca (3624 m.a.s.l.). After visiting this archeological site, we will enter the rainforest. In the rainforest we will be walking up and down until we will come to the last climb of the trail that will lead you to the third pass: Abra de Phuyupatamarca (3650 m.a.s.l) From this point the rest of the trail is mostly downhill. During the way we will be visiting the ruins of Phuyupatamarca. 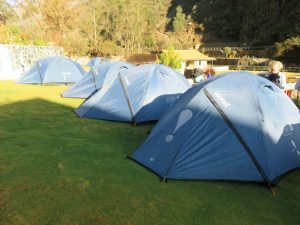 At the end of the day we will reach Wiñaywayna, where you will spend the night at a camp site. Close to the camp site there is a restaurant where you can enjoy hot showers, cold beers maybe even a bit of a party. This night you will also say goodbye to the cooks and porters, since they will take an early train to Cusco the next morning. On day 4 we will have to wake up at 4.00 a.m. After breakfast, around 4.30am, we will hike to Inti Punko ( Sun gate). This gate will take you to Machu Picchu. It’s about an hour hiking along a narrow trail of rainforest. Our tour guide will show you around the wonderful Inca village called: Machu Picchu for about 2,5 h. After the tour you will be able to take some more photos and explore Machu Picchu by yourself. When you are done exploring you can take the bus by yourself to Aguas Calientes. There is an option of visiting the thermal baths located on the upper section of the village. If you’re interested, ask your tour guide how to get there. In the afternoon you will take the train back to Cusco, where you will arrive late in the evening. Sunrise will depend on time of year and the weather conditions. End of our service. * Bus to Km 82 (start of the trail). 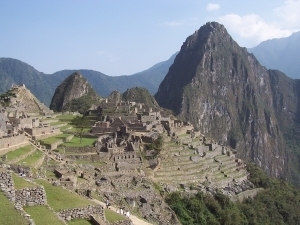 * Entrance fee to the ruins and the Inca Trail. * Porters to carry tents and food. * Transfers to and from your hotel. * Camping equipment including tents and air mattresses, (you have to carry the mattress and sleeping bagg yourself). * Kitchen tent and eating tent. * Bus ticket down to Aqua Calientes. * All Meals as indicated in the itinerary. 3 breakfast / 3 lunch / 3 diner, Vegetarian food available on request. * Walking sticks. You can also rent these from us for a price of $20 USD for the 4 days. * Private tent. For an extra charge of $50 you can have a private tent for yourself. * Tips for porters / guide/ Cook. *Full name as it is written in your passport. * Scanned copy of your passport. *Copy/fax or scan from both sides of your Internat University student card (if you have one and are less than 28 years old the price of the Trek is $40 USD less). *Departing date for the trail. Note: If after making the reservation you have to change your passport, or if it is stolen, please bring the old one with you or at least a copy. The INC are very strict! If the passport and the number on the permit do not match they will not let you start the Inca Trail. Please inform us in advance if you don’t have a copy of the old passport. The INC and Southamerica planet charge 25 USD in administration fees to change this. 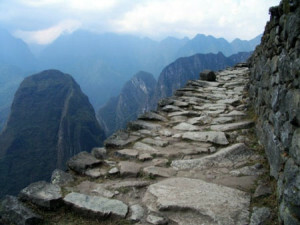 It is not possible to Climb Wayna Picchu for Inca Trail clients (rules of INC)! * Your official international passport and student card, if you forget, you can’t enter the trail!!! * Personal sleeping bag, we can rent this to you if you don’t have one! * Micropur or other tablets in order to purify the water. * Personal clothing for the trek and waterproofs for the rain. * Emergency money and money for tips to the guide, cooks and porters.